Once you bring the SmokePro STX to your back patio, your taste buds will never be the same. Experience the slowsmoked flavors and woodfired perfection of a pellet grill. If precision cooking is your game, you'll love the digital temperature control and selection systems, as well as the stainless steel meat probe. You'll be in control of your cooking the entire time. On the other hand, if you're more concerned about getting that strong, smoky flavor, our Smart Smoke Technology maintains the optimum temperature range for producing the most smoke possible. Best of all, cleaning the ash out of the grill for your next cookout is a snap with the simple ash cleanout systemjust pull a lever and you're ready to go. Bake, braise, smoke, grill, and sear all on one incredible cooker with the SmokePro STX today. SmokePro STX Pellet Grill Once you bring the SmokePro STX to your back patio, your taste buds will never be the same. Experience the slowsmoked flavors and woodfired perfection of a pellet grill. If precision cooking is your game, you'll love the digital temperature control and selection systems, as well as the stainless steel meat probe. You'll be in control of your cooking the entire time. On the other hand, if you're more concerned about getting that strong, smoky flavor, our Smart Smoke Technology maintains the optimum temperature range for producing the most smoke possible. Best of all, cleaning the ash out of the grill for your next cookout is a snap with the simple ash cleanout systemjust pull a lever and you're ready to go. Bake, braise, smoke, grill, and sear all on one incredible cooker with the SmokePro STX today. 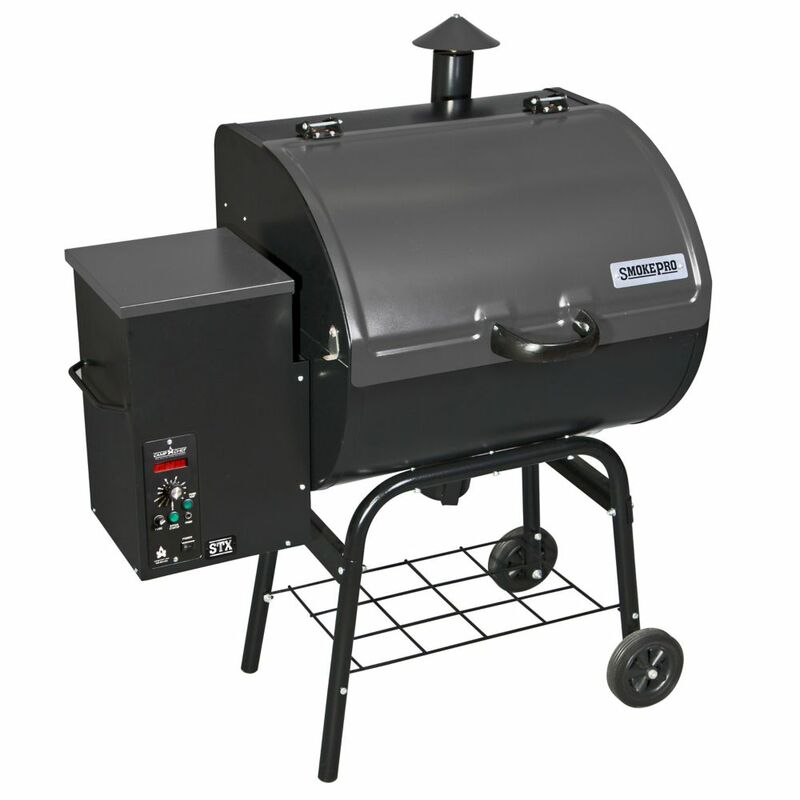 SmokePro STX Pellet Grill is rated 4.8 out of 5 by 12. Rated 5 out of 5 by Anonymous from Best house warming gift ever Boss gave it to me as a house warming gift. Cook more outside than inside. Love it!! Rated 5 out of 5 by Bananas from Waited too long! This is the best invention.... Love to cook nearly everything on my pellet grill! Rated 5 out of 5 by Kamloopis from Smokepro stx Cooking area of 429 sqin is a big plus. Have smoked on quite a few different brands of grills, chose this one on all the features without the fluff, not showing it off just letting the quality of the finished product do the talking. Outstanding product!